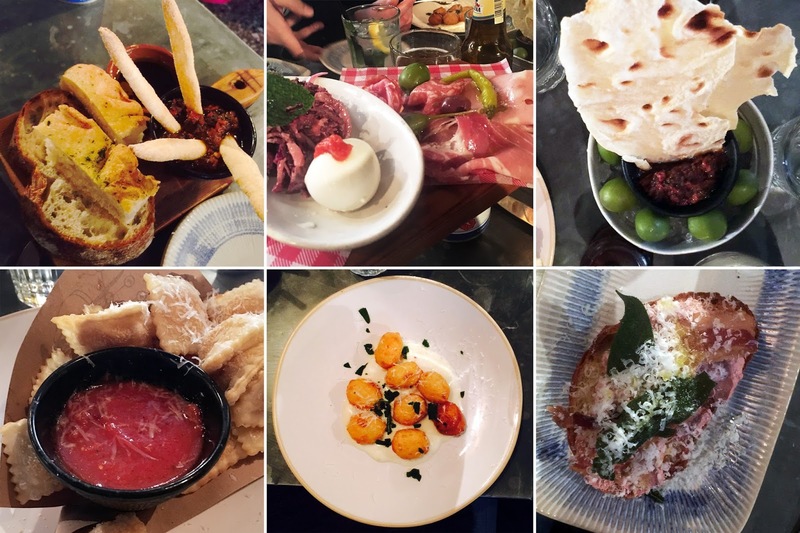 Last weekend I was invited along to Jamie’s Italian in Liverpool to taste some delicious food from the Winter menu, so off we went in the car with my brother and his partner, bellies a-rumbling and ready for some tasty food! 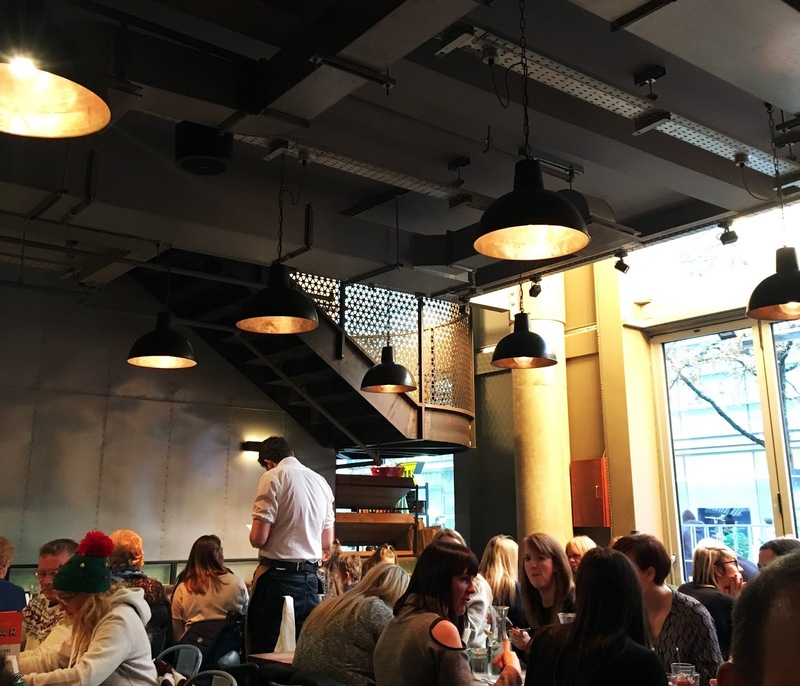 Jamie’s Italian is one of my favourite haunts, and I’ve been to a few of the restaurants including Manchester, York and London Victoria, and have always really enjoyed the food, so I was really looking forward to tucking in to some more! Out of all of the Jamie’s restaurants I’ve visited, this one is probably the most modern of the lot when it comes to the interior and decor. It’s right in the middle of the City Centre just behind John Lewis so is the perfect haunt for a spot of lunch or dinner for a break between hitting the shops for all those Christmas presents! We decided to go with lots of starters and nibbles before our mains rather than save ourselves for pudding as we were so hungry and everything sounding so good! We ordered the Bread Basket, World’s Best Olives (SO good!) and one of my favourite things to eat at Jamie’s, the Crunchy Italian Nachos, which are basically fried ravioli bites of heaven! These all came with our starters which were the classic Meat Plank for Dan, which was a little feast of cured meats, olives, Italian cheeses and coleslaw, Silky Pate Bruschetta for Ben, which was great but a little difficult to eat as the bread was very crunchy, then myself and my brother Graeme both opted for the new Fantastic Fried Gnocchi which we both agreed was amazing (carbs and cheese – what’s not to love?!). We also had some mini tasters of Tuscan Vegetable soup which were delicious! Myself and my brother are Jamie’s Gold Club members, and each month members get a free taster on every visit, and a little treat too which I’ll come to later! If you’re not a gold club member I’d recommend joining as we’ve had some brilliant free nibbles and tasters over the past year! You can find all the info you need here. It’s all free to join, and you even get a free bottle of Prosecco on your birthday (this was the perfect treat for my birthday meal in London back in September!) and £10 off your bill when you first join! For the main course, Dan decided on Spicy Sausage Penne which was so good! I got to taste a little myself and it was lovely. 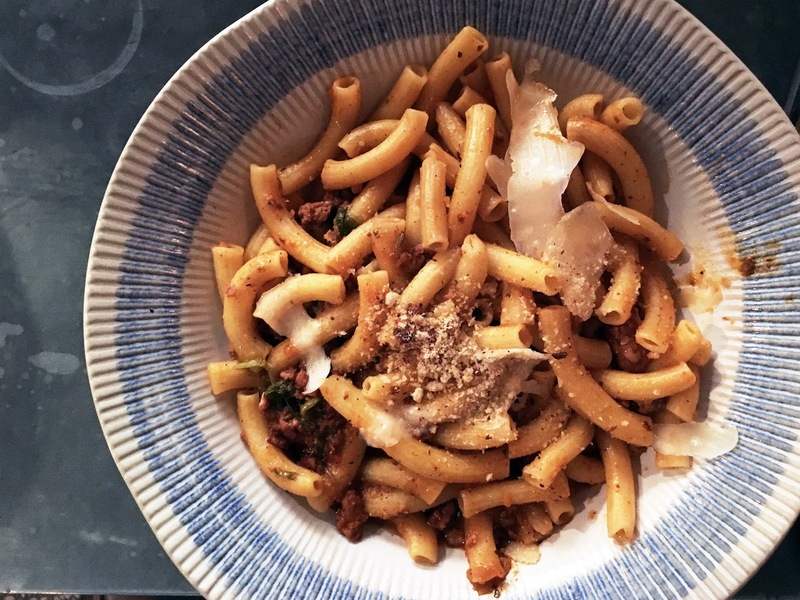 It had fennel in the sauce which gave it a subtle aniseed taste, and the pasta was perfectly cooked. If you’ve ever made ‘Jools’ Pregnant Pasta’ from the Jamie’s 30 Minute Meals cook book, then you will love this! 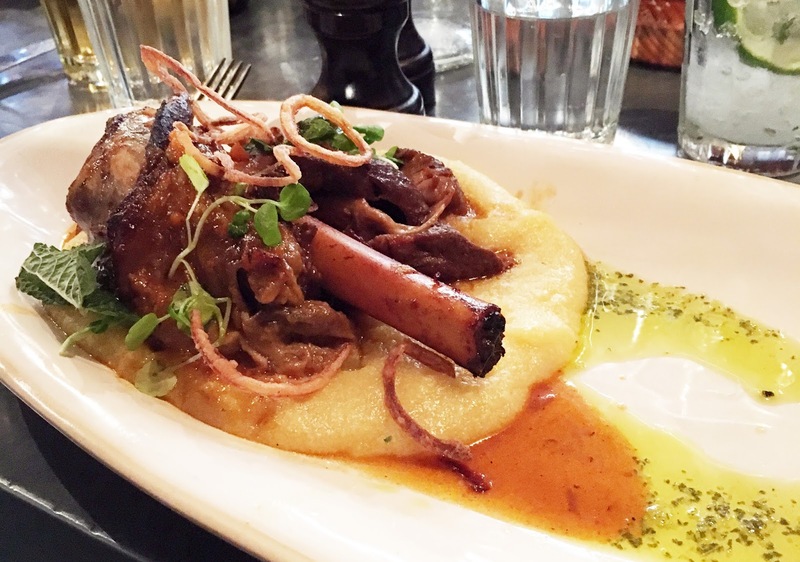 I decided on a lamb dish from the specials menu – it was lamb shank served on oozy polenta with crispy fried onions and a mint gravy. The lamb was amazing and fell straight off the bone, perfectly tender and super tasty, but I probably chose the wrong time to try polenta for the first time. Let’s just say it wasn’t my favourite thing in the world, but the rest of the dish was delicious! Ben went for the Silky Penne Carbonara which looked really good. It was topped with smoky pancetta and looked like a big bowl of comforting goodness! 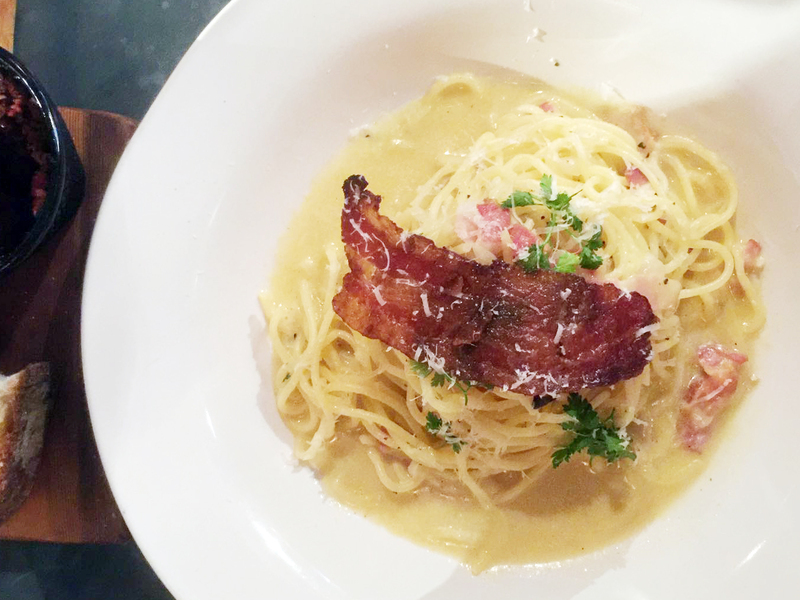 I love carbonara and will probably give this one a whirl on my next visit to Jamie’s. Graeme opted for the Oxtail Lasagne which also looked amazing, probably the most appealing looking of all the dishes we had for the main course. 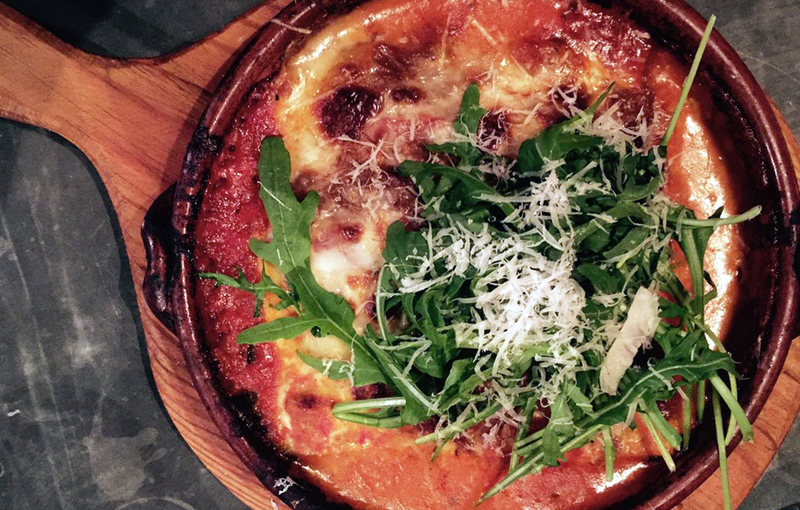 There’s just something about a piping hot lasagne oozing out of it’s baking dish! I’m not as adventurous as Graeme so I didn’t try this one – Oxtail scares me a little, I won’t lie! – but it smelt incredible and you can see it had a golden crispy topping! Finally we decided to just stick with the Gold Club treat, mini mince pies which were just enough to finish the meal nicely with something sweet. It’s worth mentioning the drinks we had also – we decided to steer clear of alcohol but tried a couple of the mocktails – the Berry Blast and Ginger Mojito are two that I would recommend trying! All in all a lovely meal, in a restaurant with a fun and busy atmosphere, topped off with great company! 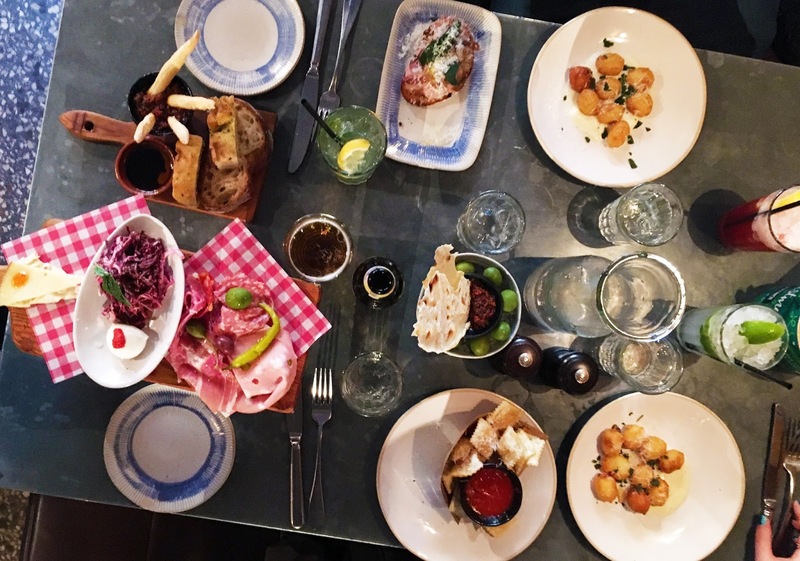 Have you been to Jamie’s Italian in Liverpool? What’s your favourite item on the menu? "A BREAKFAST PASTRY PARTY | #SHAREAMOMENT"
"FOR HIM | THE ULTIMATE GIFT GUIDE"